Bam, crash, ka-pow. Hell of a game changer. Frankie Vega is in trouble. She’s broken a boy’s nose and is at risk of being expelled. But that’s only the latest of her troubles, which began when her mother abandoned her when she was four. Since then Frankie has been scared and angry with just about everybody. So when a kid turns up claiming to be her brother, Frankie is wary of being hurt. Then, when Xavier goes missing, she isn’t sure whether he’s let her down or whether he is actually lost. It seems no one else but Frankie cares where he has gone. Frankie is a moving and absorbing contemporary novel. 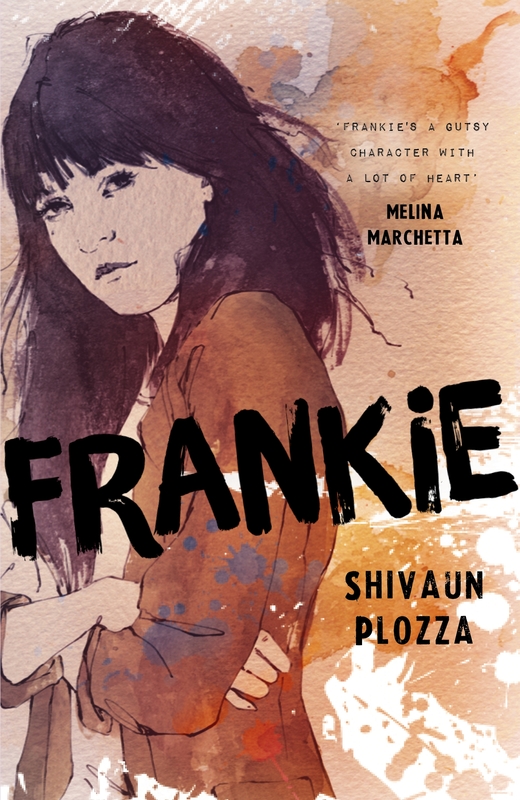 Frankie is a sassy yet inwardly fragile character whose first person voice is believable and oddly endearing, even when she’s behaving badly towards the few people in her life who seem to care for her. Her story is heartbreaking but also has funny and heartwarming moments. Dealing with issues including what constitutes family, homelessness and self-belief, Frankie is a brilliant young adult novel.